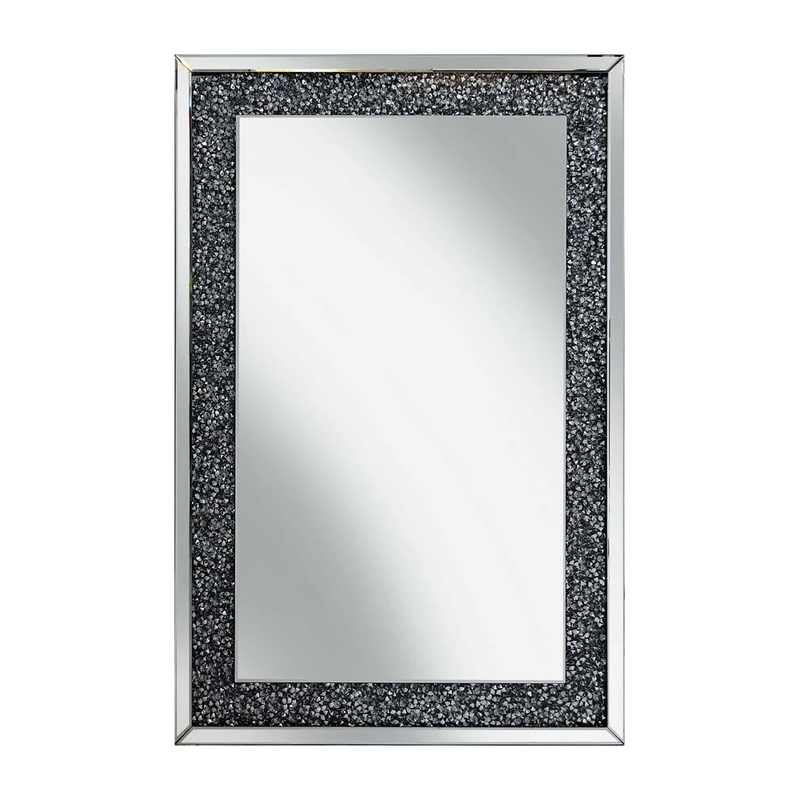 This is really beautiful mirror with a dark silver outline, this can bright up your room that little bit. The outline of the glitter is finished with a mirrored outline. This mirror could fit perfectly in your home, it truly is beautiful. This mirror is decorated with glass crystals and is made of mirrored glass. This mirror is part of the Gatsby collection.